Next week is the annual Week of the Young Child, hosted by our friends at the National Association for the Education of Young Children (NAEYC). This year, Music Together is proud once again to sponsor Music Monday, on April 8, to celebrate music in early childhood. 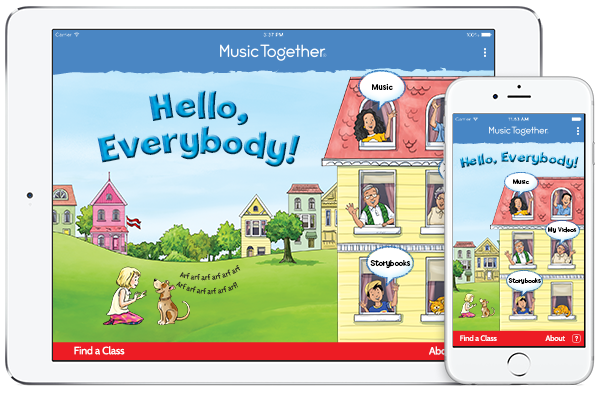 In honor of Music Monday, we’re giving away a Hello, Everybody Singalong Storybook gift set. Enter now through Friday, April 12 by sharing your family’s favorite song with us. Post it online with the hashtags #woyc19 and #MusicMonday and tag us @MusicTogether on Facebook or @MusicTogetherWorldwide on Instagram. Here are a few musical ideas you can try to celebrate making music with your family—on Music Monday and every day! Invite kids to close their eyes while you (or a musical helper) make music with an item in your home (e.g., pencils, crayons, crayon box, spoons, pots and pans—or instruments if you have them!). Play the instrument and have the children try to guess what you just played. Take turns sharing and guessing. Check out more ideas for musical games from Music Together teachers to continue the fun! Download the Hello Everybody app for 8 free Music Together songs. (If you’re enrolled in Music Together, log in to access all of your semester music, too.) Share your favorite on social media with the hashtags #woyc19 and #MusicMonday. And don’t forget to tag @MusicTogether on Facebook, @MusicTogetherWorldwide on Instagram. Try some Music Together karaoke with the Hello Everybody app and share your video on Facebook. Tag us, and if we feature yours, we’ll send you a musical gift. Make storytime musical. Here’s a short video with some ideas for bringing music into reading time. 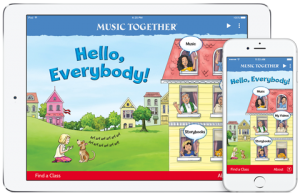 Take a deeper look at music-learning by taking a look through the Music Together blog or the Family Music Zone for enrolled families.